Cyber threats, the housing market, youth jobs, and bitcoin are among the things that Bank of Canada governor Stephen Poloz says keep him up at night. You might forgive Stephen Poloz if he has a lot on his mind. As governor of the Bank of Canada, he has to worry about the state of our economy, and how things like the NAFTA renegotiations might affect it, how technological change might impact inflation, and how the housing market will react to new mortgage rules. But those aren't the only things that Poloz says keeps him up at night. In a lunchtime speech Thursday to the Canadian Club in Toronto, he laid out several things that give him pause, including cyber threats, household debt levels, the struggle of young people to find work, and the rise of bitcoin. On the topic of connectivity, Poloz called the infrastructure that supports the Canadian financial system "a public good, every bit as a important to the health of Canada's economy as our roads, bridges and airports." He said the process that moves billions of dollars each day looks risk-free, but it is not. Our connectivity creates a vulnerability, Poloz said. "It means that a problem in one institution may spread to others and be amplified," he said. "As such, a successful cyber attack on one institution can become a successful attack on many." Despite the lengths gone to keep the system secure, we cannot assume the financial system is secure, he said. "We need to be prepared to recover our systems should a cyber attack succeed." The central bank governor also said that "vulnerabilities" in Canada's housing market, and our associated level of household debt, are elevated, and likely to stay that way for a long time. 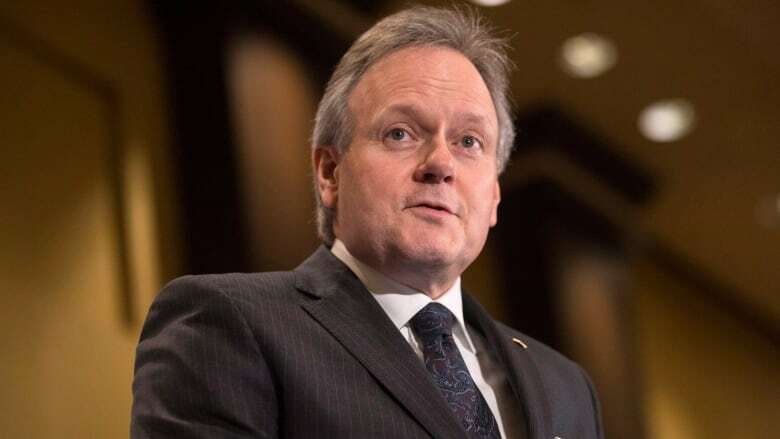 With the arrival of new mortgage rule changes that will see each new mortgage stress-tested to make sure the borrower can handle a higher interest rate, the financial system will build up resilience over time, Poloz said. The Bank of Canada expects consumers will look for cheaper houses with a smaller mortgage so they qualify under the new rules, but Poloz said some people might also seek out lenders not covered by new federal rules so they can avoid the stress test. "To those people who hope to avoid the rules, I offer this advice: testing yourself to make sure you can handle your mortgage payments if interest rates were higher at renewal is a very good idea, whether it is a rule or not," he said. Poloz said the economy has created about 350,000 jobs this year, but only about 50,000 of them have gone to young workers, adding that the percentage of people aged 15 to 24 who are in the workforce has slumped to its lowest point in almost 20 years. With more than 250,000 job vacancies in the economy — the highest figure on record — and businesses saying they can't find people with the right skills, Poloz suggested more must to be done to address this gap. "There surely is room for more ambitious on-the-job training programs in this picture," he said. The governor saved his last point for the topic of bitcoin and other digital currencies, which have seen booming interest lately. "What their true value is may be anyone's guess — perhaps the most one can says is that buying these things means buying risk, which makes it closer to gambling than investing," Poloz said. "Bank staff are exploring the circumstances under which it might be appropriate for the central bank to issue its own digital currency for retail transactions," he said.